Corporal (NS) Shentil Samugam, 33, reached the MEC after 11am and was ready by 1.30pm yesterday - saving him about 80 per cent in time taken as he did not have to travel to multiple locations to get equipped. 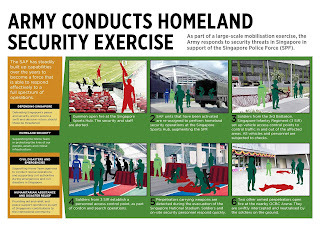 "Previously, we had to also go through administrative officers and sign papers, and the queue was really long. Now, with the self-service kiosks, the process has become more efficient and we can be equipped, all in one place." 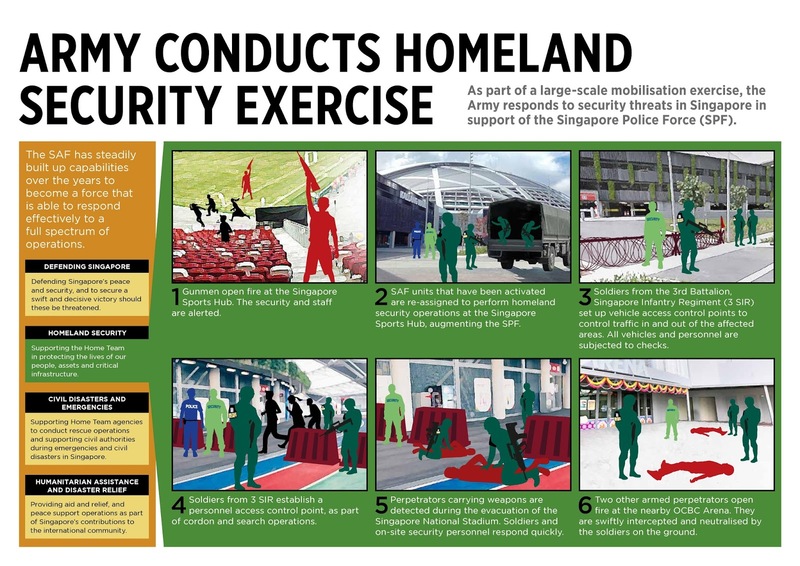 Some 5,500 NSmen were recalled to the centre yesterday. Head of Supply Hub East Pak Chun Hua, 42, who oversees the centre, said: "The time saved can be used to focus on their basic soldiering skills, be it for the commanders doing map-planning exercises, or for soldiers on the ground to go through their weapon drills." 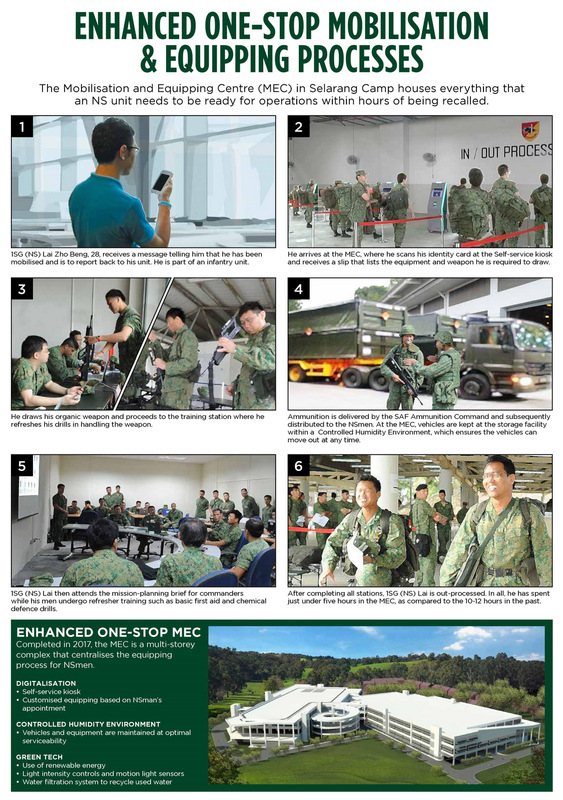 MECs were first established in 2009, allowing NSmen to go through a one-stop mobilisation and equipping process. It took between four and five hours for servicemen to be combat-ready then.